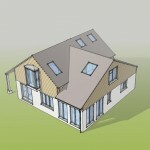 The clients were considering conveting the roof space to add a 1st floor bedroom to the bungalow. 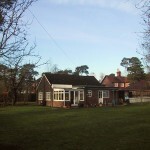 The house is in the Green belt, and adjacent to a Grade 2 listed property. 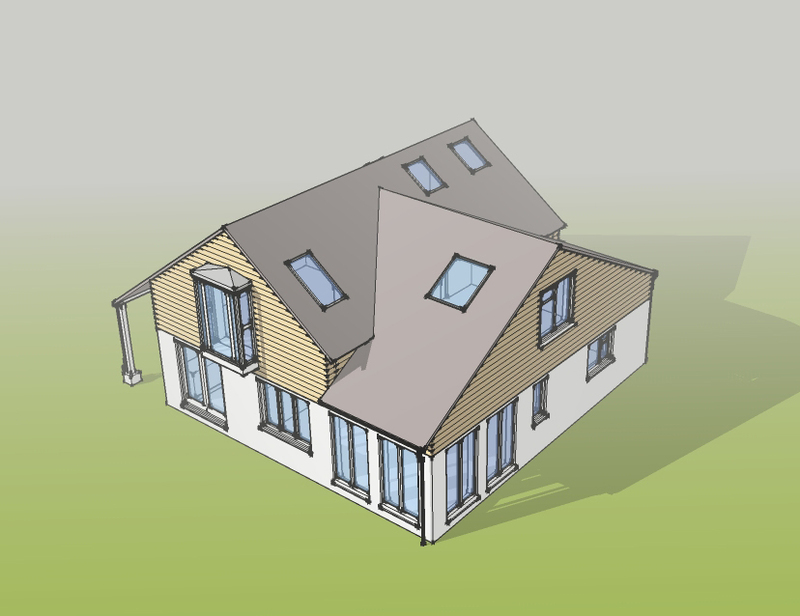 After considering various options, it was decided to rebuild the house because of the condition of the existing house coupled with VAT advantages of new-build. 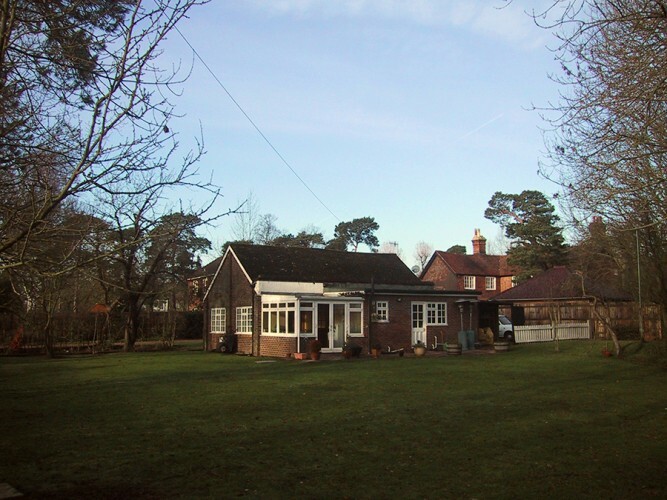 An existing unimplemented planning consent was used to negotiate an increase in the volume of the proposed house, and careful design led to planning consent for the project, completed in 2012. 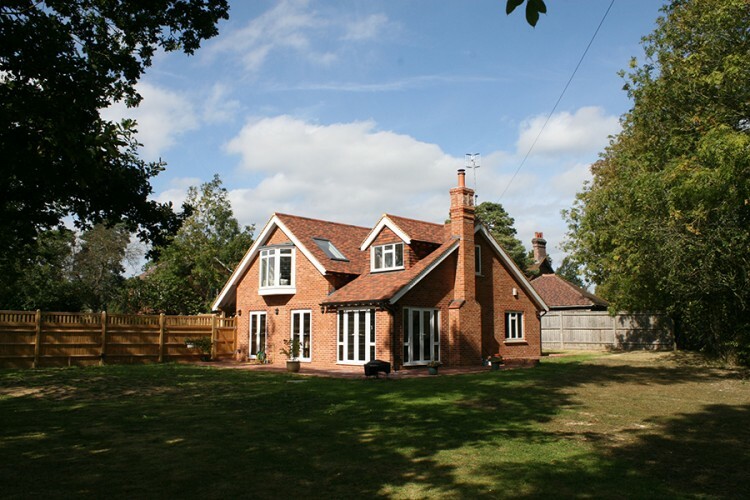 The house has been replanned from 2 bedroom, 1 bathroom dwelling to a 4 bedroom family home, with en-suite dressing room and master bathroom, a further en-suite shower room and a family bathroom. The living room, dining area and kitchen are open plan with access to the South facing patio area through several French doors. The Master Bedroom is located at 1st floor and provided with a projecting bay window to frame views across fields to the South. There is a utility area off the hallway, and extensive storage throughout. 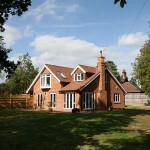 The materials were selected to reflect the grade 2 listed building adjacent and to weather well. We are currently engaged in phase 2.